Soy is one of those "wonder foods" that used to be sold only in health food stores or Asian markets in western countries. In the last several years, soy has been showing up regularly on the shelves of mainstream grocery stores, packaged in an amazing variety of products and flavors. At the same time, a controversy has been brewing—is soy healthy or risky for breast cancer patients and survivors? Do soy foods protect you from cancer, or do they hasten its development? Before you throw out the tofu with the miso soup or rush out to buy some soy supplements, let's take a look at soy foods and their health impact. Can soy intake lower the risk of developing breast cancer? If so, is there a window of time in which it may accomplish this, or does the effect last throughout life? Is it safe for those with breast cancer to eat soy, or will it make breast cancer grow faster or increase recurrence? Are soy supplements safe for those at risk of breast cancer or who already have breast cancer? How may soy interact with the medications commonly used to treat breast cancer? Soy foods are made from soybeans—a crop that, until the 1980s, has been used in America primarily as livestock feed, but has been a part of the Asian diet for many generations. 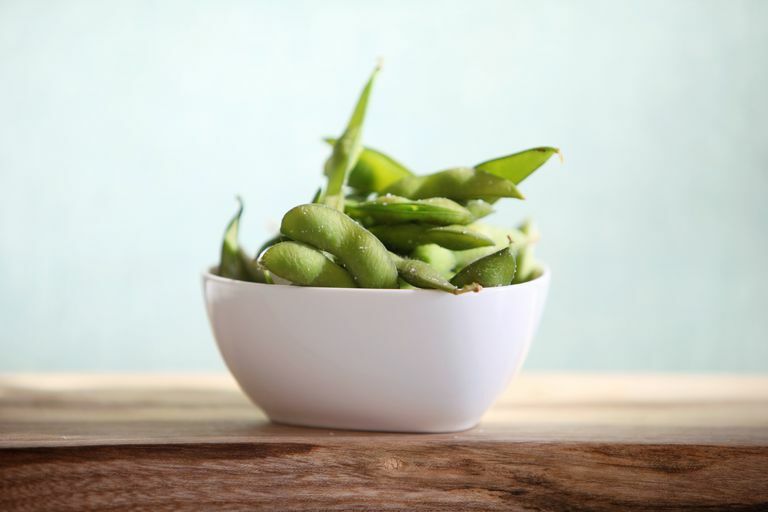 Soy is available as edamame (green soy beans), tofu, soy milk, soy powder and flour, miso paste, tempeh, oil, and textured vegetable protein (TVP). Soy shows up in many meat analog products—meatless meatballs, "burger" style crumbles, and even bacon-like strips and chicken-shaped nuggets. Products based on soy constituents can make great entrees for those on a vegetarian diet, and some products are even suitable for vegans. Tofu and tempeh can be cooked as part of an Asian meal and combined with just about any flavoring. Soy is high in protein, helps lower cholesterol and is considered a good food for those with high blood pressure. Soybeans contain all of the amino acids essential to human nutrition. Soy foods contain isoflavones (phytoestrogens). These isoflavones have powerful antioxidant properties and may be able to prevent cell damage (oxidation) caused by free radicals. Soy isoflavones can act like weak estrogens and may block estrogen receptors, similar to the way that tamoxifen works to prevent a recurrence of estrogen-sensitive breast cancer. Sounds great, doesn't it? But there may be a problem of "too much of a good thing." Just as an excess of natural estrogen may fuel the growth of a breast tumor, too much of the soy isoflavone genistein, in concentrated form in many over-the-counter nutritional supplements, may set the stage for tumor development. But what about Asians who grow up on tofu? Let's look at their rates of breast cancer. Japanese women typically consume soy beginning in childhood, which may be a key to prevention of breast cancer. In April of 2008, a Japanese study was published on soy consumption and rates of breast cancer. In this study, Dr. Iwasaki and his team recruited 24,226 Japanese women aged 40 to 69. Their study covered 10.6 years, and the women in the study did not keep a food journal, which is sometimes an unreliable component of such a study. The researchers used blood and urine samples to measure isoflavone levels. Women who had the most consistently high levels of genistein (isoflavone from soy) had the lowest rates of breast cancer. While soy may help relieve your hot flashes, researchers caution postmenopausal women against having too high a dose of soy, particularly in the form of supplements that contain high amounts of soy isoflavones. And if you've had estrogen-sensitive breast cancer, and are taking a selective estrogen receptor modulator, such as tamoxifen, or an aromatase inhibitors, such as exemestane, it's a good idea to refrain from soy. The soy isoflavone genistein may counteract estrogen suppressors—and that would make your post-treatment medication less effective. After you've completed a full course of estrogen suppressors (usually 5 years, but some oncologists are recommending 10 years or more) you can start including soy in your diet again, in modest amounts. But first, talk with your oncologist. If you still want the benefits of isoflavones, try dining on legumes, whole grains, and nuts. On the other hand, a good reason to avoid soy altogether is if you know that you're allergic to it. You should also skip soy if you have a thyroid disorder or goiter. You may get the most benefits from consuming soy isoflavones such as genistein if the isoflavones come from food—not from nutritional supplements. The American Cancer Society says that concentrated extracts of soy isoflavones may encourage tumor growth, and should be avoided. Women in the Japanese study who had the lowest rates of breast cancer had consumed soy from childhood, or at least from pre-puberty. It could very well be that the protective effect derived from soy in the Japanese is limited to exposure during breast formation during puberty. It's important to note that the jury is still out regarding soy and breast cancer. Much of the negative studies have been from animal studies which have not been confirmed with human studies. According to the European Food Safety Authority, isoflavones do not adversely affect breast health. The fact that soy can be a good source of protein in a healthy diet is hard to dispute, and a question often asked is whether foods that would be substituted for soy in a healthy diet—for example, red meat—might not be worse. Post-menopausal women should not overdo soy products because the powerful isoflavones mimic natural estrogen, which fuels 80 percent of all breast cancers. Adults who start a diet which includes 25 grams of soy foods daily (not those with breast cancer) will experience some benefit from soy isoflavones (lower cholesterol, better heart health) but will not gain the same protection from cancer as people who have eaten soy regularly over a lifetime. Concern does remain over a few issues: whether soy products may interfere with the treatments of breast cancer, and whether soy in supplement form may be harmful. As with other nutrients, the general consensus seems to be that nutrients obtained in dietary form are the ideal way to receive these, and dietary supplements should be avoided aside from a careful discussion of the possible benefits with your doctor. For those who are aware that the Mediterranean dietary pattern shows the most promise in preventing breast cancer recurrence—a diet which often includes moderate soy protein (five to ten grams daily), you may take heart that there are other foods high in flavonol polyphenols that may be just as effective without the soy risk. These include green tea, vegetables such as onions and broccoli, and fruits such as apples and citrus fruits. Braakhuis, A., Campion, P., and K. Bishop. Reducing Breast Cancer Recurrence: The Role of Dietary Polyphenolics. Nutrients. 8(9):pii:E547. Iwasaki, M., Inoue, M., Otani, T. et al. Plasma Isoflavone Level and Subsequent Risk of Breast Cancer among Japanese Women: A Nested Case-Control Study from the Japan Public Health Center-Based Prosepctive Study Group. Journal of Clinical Oncology. 2008. 26(10):1677-83. Messina, M. Soy and Health Update: Evaluation of the Clinical and Epidemiologic Literature. Nutrients. 2016. 8(12):pii.E754. Uifalean, A., Schneider, S., Ionescu, C., Lalk, M., and C. Iuga. Soy Isoflavones and Breast Cancer Cell Lines: Molecular Mechanisms and Future Perspectives. Molecules. 21(1):E13.